Our Kenai/Kasilof Fishing Lodge - the Retreat! 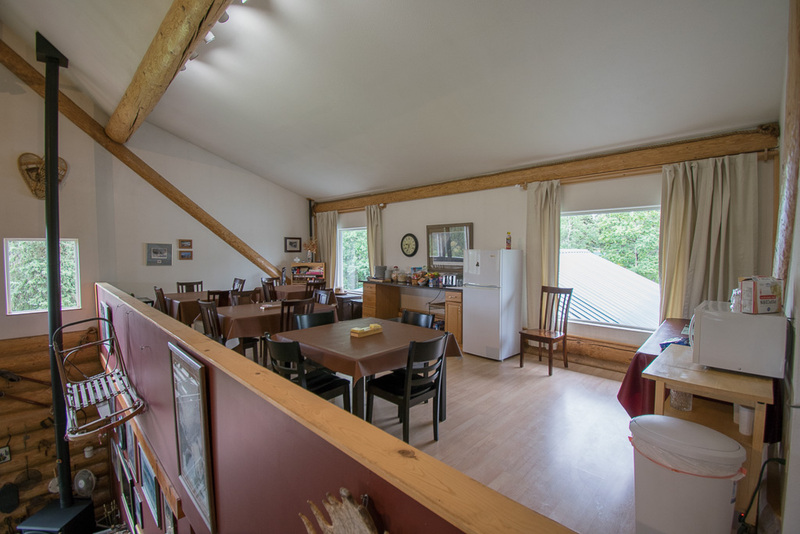 Crooked Creek Retreat sits on 6 acres in the area known as Kasilof. 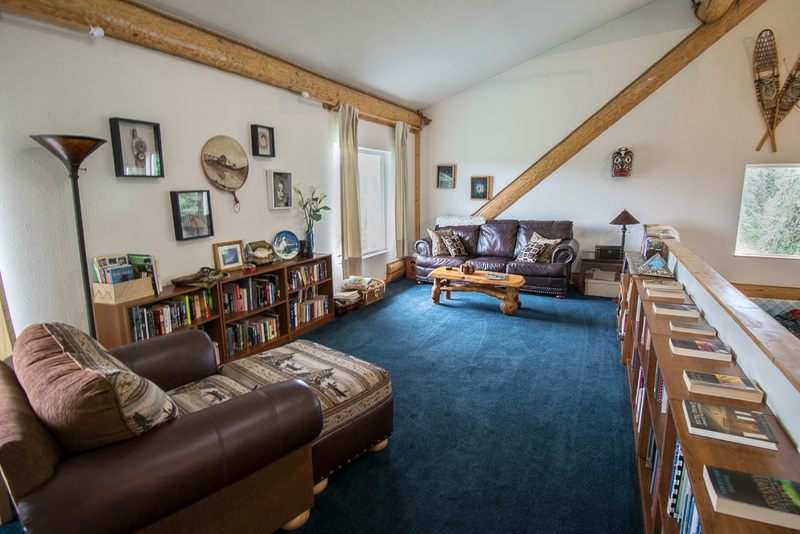 The lodge is just off the Sterling Highway 2 miles south of the Kasilof River and 15 miles south of Soldotna and the Kenai River. 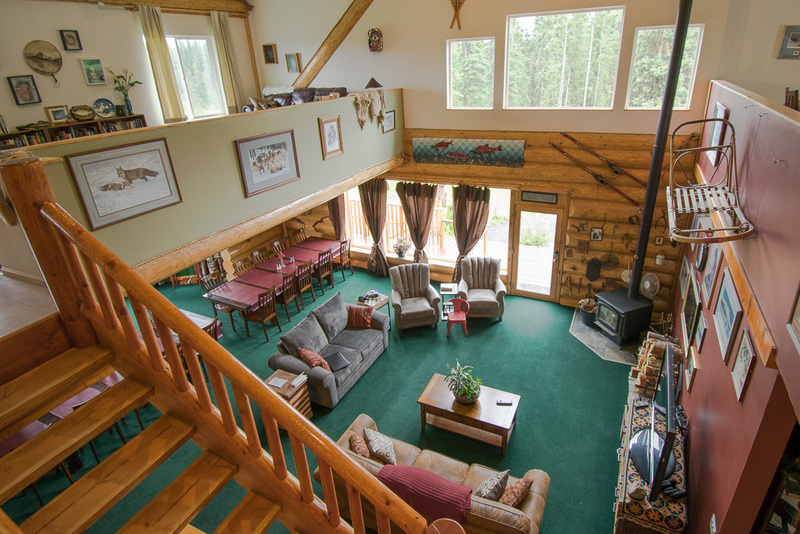 The lodge is about 8 minutes from the Cook Inlet and 1 hour north of Homer. Auntie Dorothy works hard to get the flowers blooming by the time you arrive for your vacation, though the frost can linger around until the 1st of June or thereafter. Landscaping is continuously going on, with efforts to grow grass, vegetables, and keep the moose from eating the raspberries and shrubs. You will find wrap around decks, patios, and balconies with pots of flowers, lettuce, celery, and hanging pots where ever they can be placed. 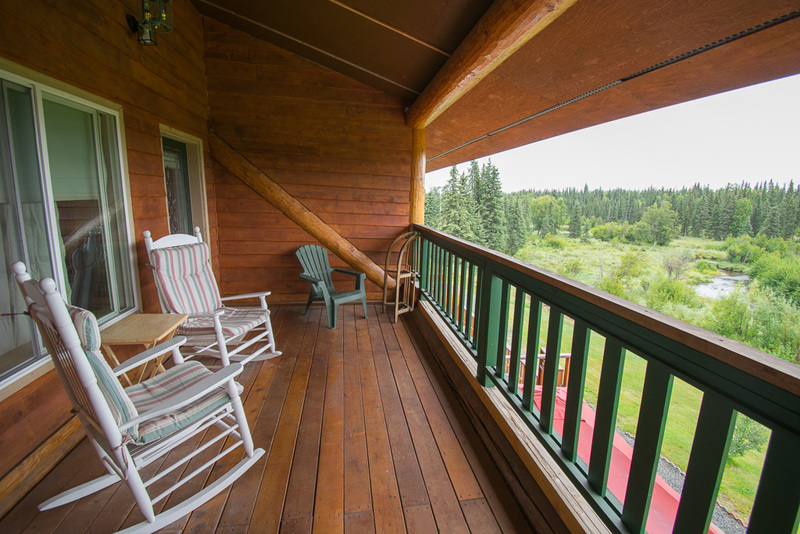 Sitting on the deck provides a continuously changing view of wildlife. When you wander down to the creek there may be king salmon spawning, Silvers splashing their way upstream, and when the fish are here keep an eye out for the brown bear from downstream and the black bear from upstream. Down by the creek find a hammock to swing gently in, bring a book from the library, or gather your friends for a game of horse shoes. There is always the fire pit for a get together - sit on the huge boulders warmed by the sun and the fire. Ask the cook for s'mores kits, bring your beverages, or get some hot dogs and buns. Lodge photos by Joan Bateman for Spotlight Magazine. There is always something going on, the guys like to gather at the fire pit after dinner, throw some shoes and smoke those cigars not allowed at home. If it is is family week, kids are splashing in the creek, roasting marshmallows, practicing fly casting into hula hoop targets - with weights only NO hooks! They might be playing fetch with Remington, our lodge dog, or trying to get out of her way before she shakes after a swimming session. Kids love it! There is always wood to throw on the fire, a hammock to swing in, fish to catch after the creek opens August 1st, or just relax and watch. Ask Aunt Dorothy to show you where the kingfishers build their nest in the gravel bank, or where you are likely to find the baby ducks. There are several pairs of ducks that make the creek their home. Check trees for eagles, the goss hawk, those huge ravens, arctic terns, or you might even be here when hundreds of swallows come to eat the first hatch of mosquitoes. Check with Aunt Dorothy for one of her bird books and binoculars. Be sure to get a pen and then date and sign the page when you spot a new bird. Do not worry about the mosquitoes - we work hard to keep them in check and start running the Mosquito Magnets by the beginning of May. When the boats come back listen for the bell; we ring it when the fish are being hung in front of the lodge. Come and take a look, hear some fish stories, or if they are yours get your picture taken with your fish. We charge by the person, not the room. Your package rate is per person, minimum of double occupancy, and covers all your meals including snacks and beverages. You are welcome to pick up alcoholic beverages in town. Our cook will meet with you upon request and discuss any dietary requirements you may have. 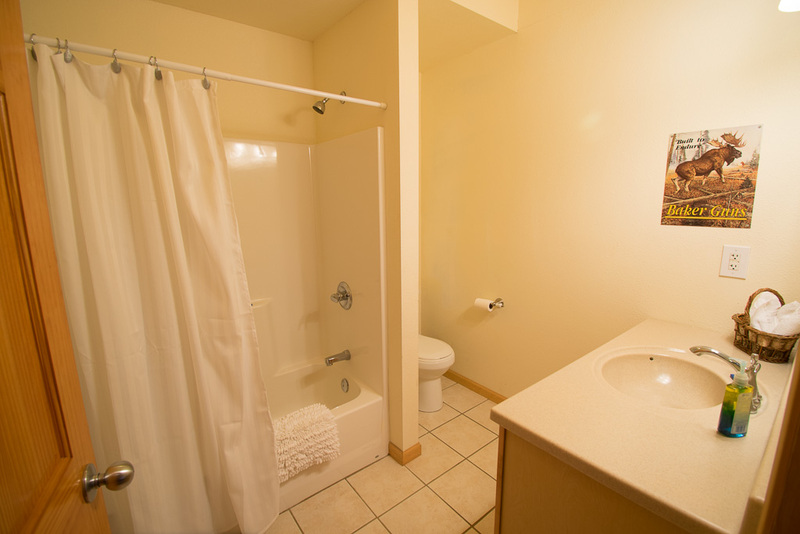 All rooms have private en suite baths, spa robes, quality beds, luxury linens, black out blinds, and tasteful decor. You have free access to WiFi, there is also Sat TV in the great room, and NetFlix. We have rooms of every shape and size! 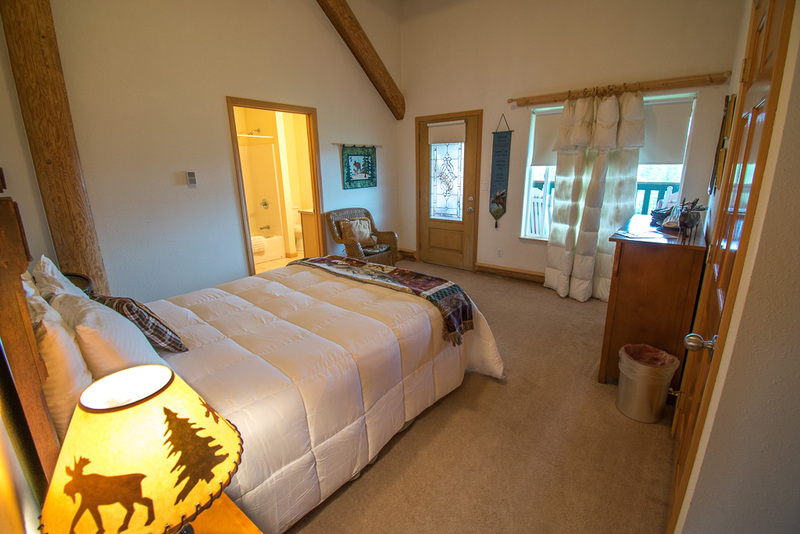 The Moose, Duck, and Fish Rooms are favorites of couples. The Fish Room is tucked away at the end of the hall upstairs, next to the Duck Room, which features views of the creek. 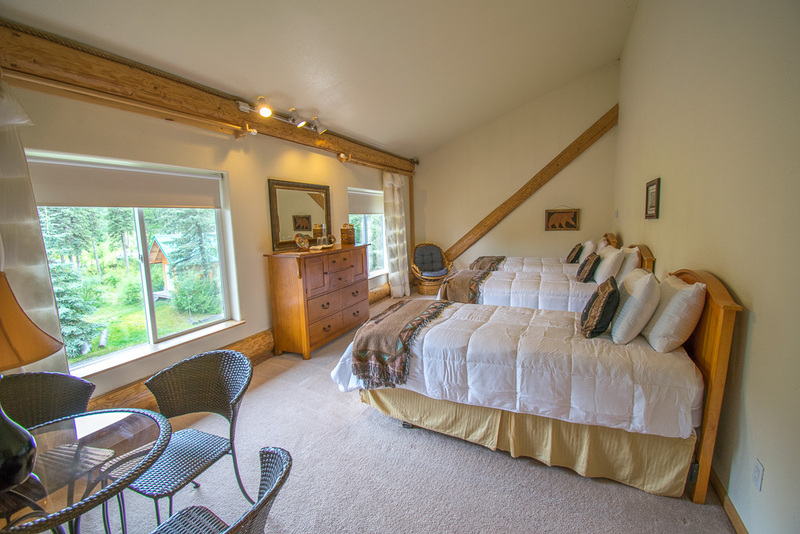 The Moose Room and the Black Bear Rooms have balconies, the Black Bear Room being larger and great for two or three people. 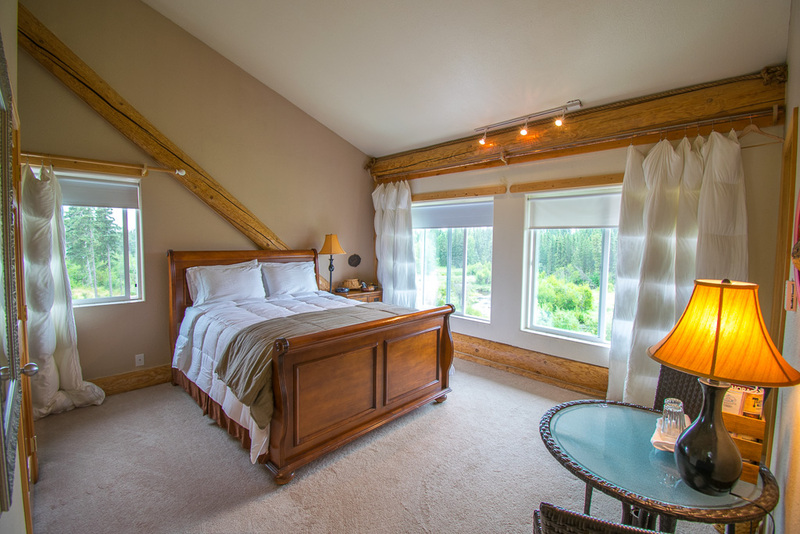 Our ceilings upstairs are vaulted to 14’ and feature beautiful exposed logs. Downstairs all of our rooms walk out to the back patio and lawn. The Bear’s Den is a favorite for large groups. 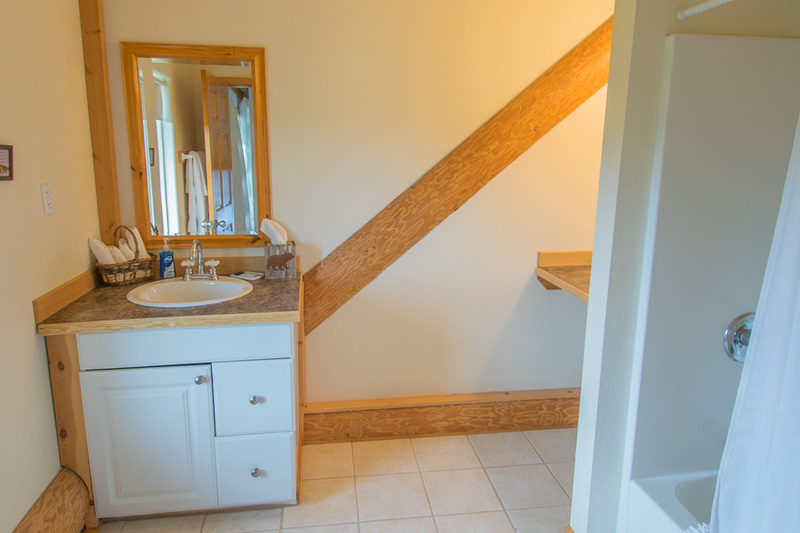 With capacity of up to eight guests it features French doors and bay windows overlooking the back lawn and creek, a seating area, a kitchenette, and an extra large bathroom with multiple showers, toilets, and sinks. 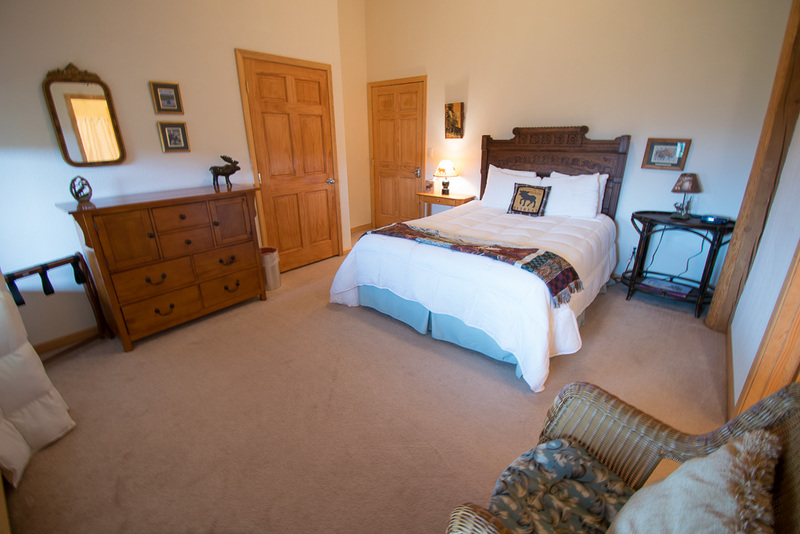 The Lodge Room is large, yet cozy. It has a seating area with views of the back lawn and creek. 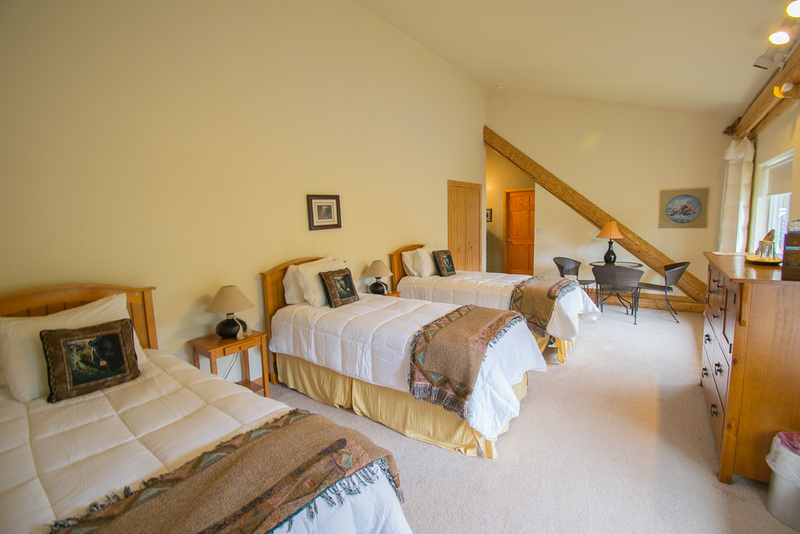 The Caribou Suite is our last room on the downstairs level. It is great for small families or small groups, with a kitchenette, a seating area, views of the back lawn and creek, and a door to the back patio. 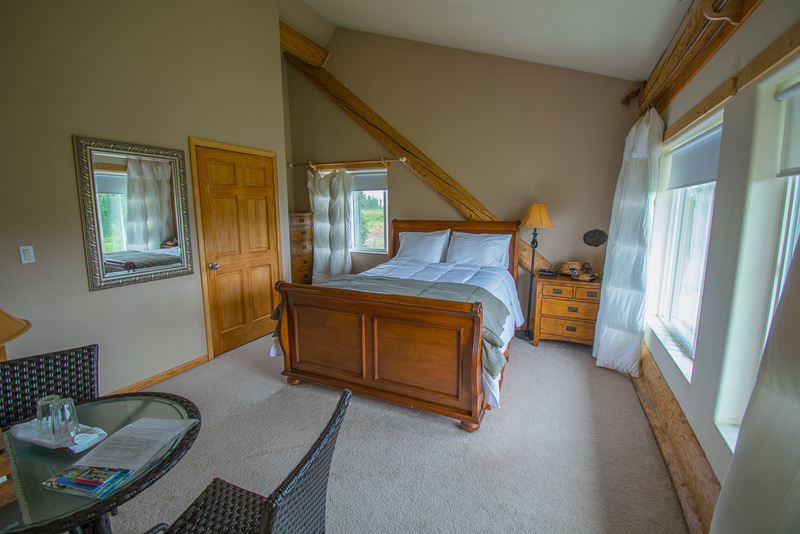 Guests often stay in the same room year after year, and while we make every effort to accommodate room requests, we cannot guarantee your requested room will be available. Meals at Crooked Creek Retreat are famous among our guests, guides, and anyone that is lucky enough to be invited. You can count on gaining a pound a day unless you restrain yourself or follow repeat guests' advice and diet before you come so you can enjoy yourself fully! We are always adding some new items and keeping some tried and true. 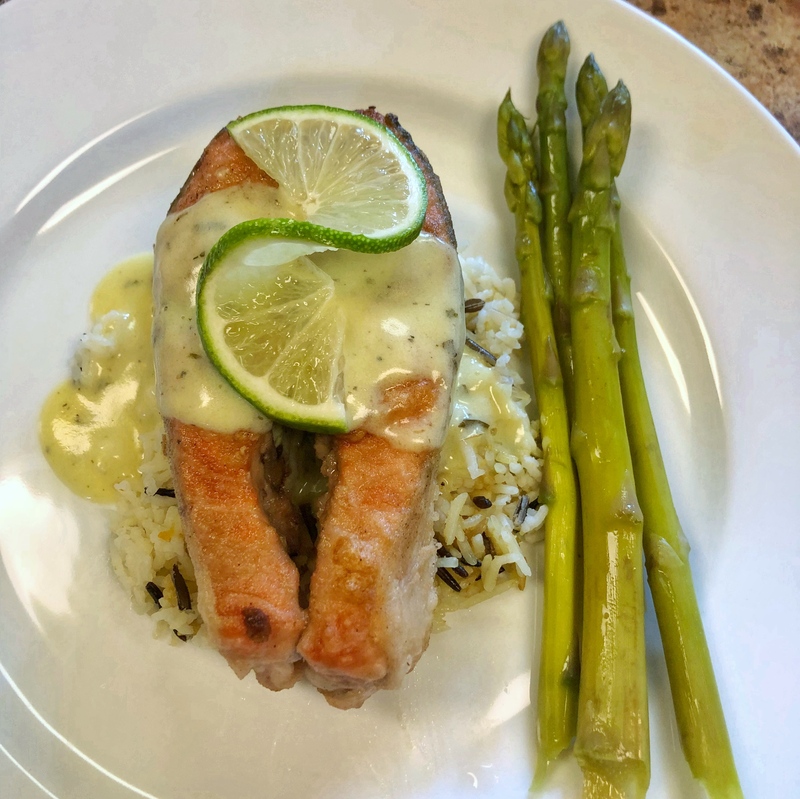 We will be serving our famous prime rib each week, adding Halibut fish and chips each week, our fresh salmon glazed with apricot is famous, and of course our absolutely wonderful seafood Alfredo. 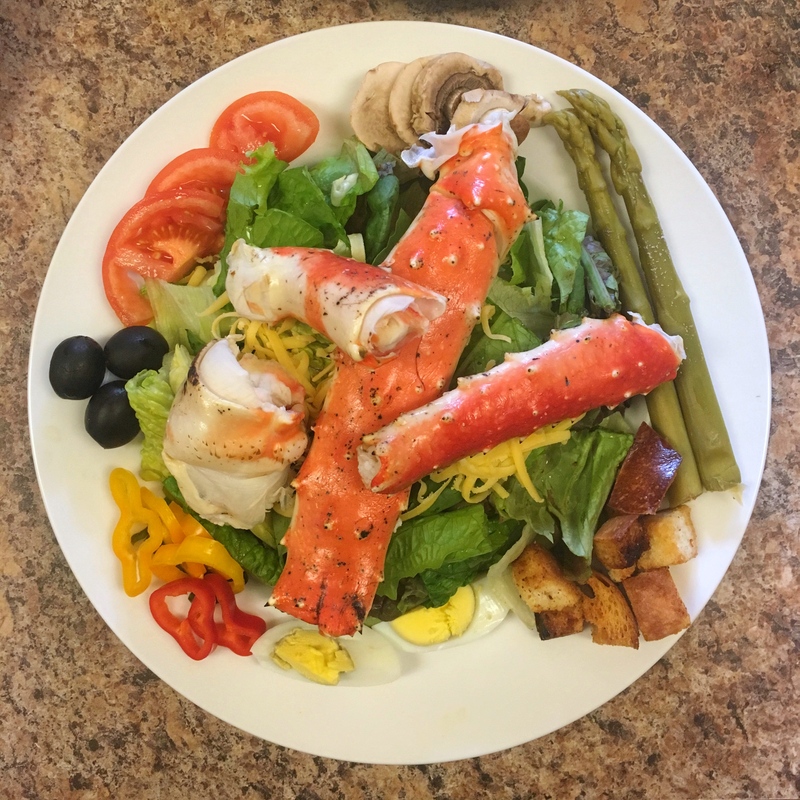 We even offer king crab, which you can have as crab legs or a Crab Louie. You can give us a vote on either Italian roast chicken or the chicken piccata. That fills out the week but, of course there are the chowders - razor clam, seafood, smoked salmon, prime rib mushroom cream soup, chicken soup, bean soup made on the ham bone, there simply isn't time in a week to sample them all. We are still baking bread, making desserts, and adding to our appetizers. As available we will have Katchemak Bay oysters on the half shell, shrimp from Prince William Sound, some of our famous dips and spreads. Our salad greens come from our kitchen garden as do many of our herbs and vegetables as they become ready. 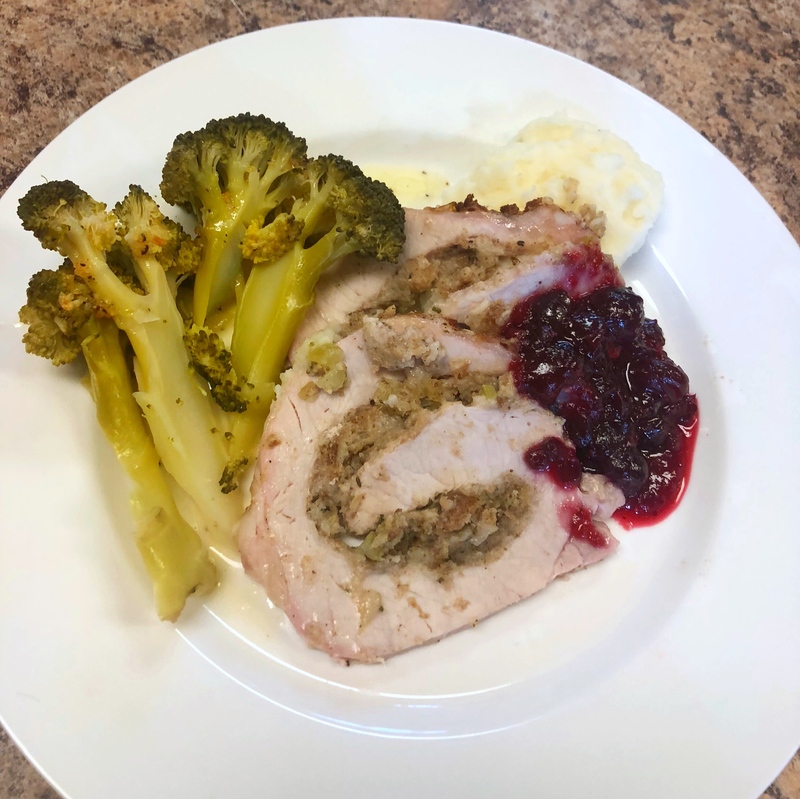 We have harvested our low bush cranberries to use as a sauce with the chicken, on toast, or we will whip some up into a vinaigrette for your fresh salad greens. We have fresh rhubarb in the garden to mix up with some berries for a delicious cobbler. Auntie Dorothy even makes all the jam for breakfast breads. We strive to use fresh, local produce or grow our own. Homemade is our goal whether it is bread, desserts or salad dressings. Come and enjoy our wonderful fresh food featuring Alaskan seafood and hand picked specialties from our garden. Auntie Dorothy is back in the kitchen with her cooks. She is making sure everything has just that special touch and taste. Shortly after check in, you will have an opportunity to meet with the kitchen staff to discuss any special dietary requirements. Be sure to us know if there are things you really like. After you have booked your stay with us we will invite you to send along to us any special requests for your meals, sandwich makings, and any beverages we can stock for your visit. This will be passed along to the kitchen staff, but be sure and take the opportunity to meet the chefs. We are dedicated to doing everything we can to make your visit as perfect as possible. 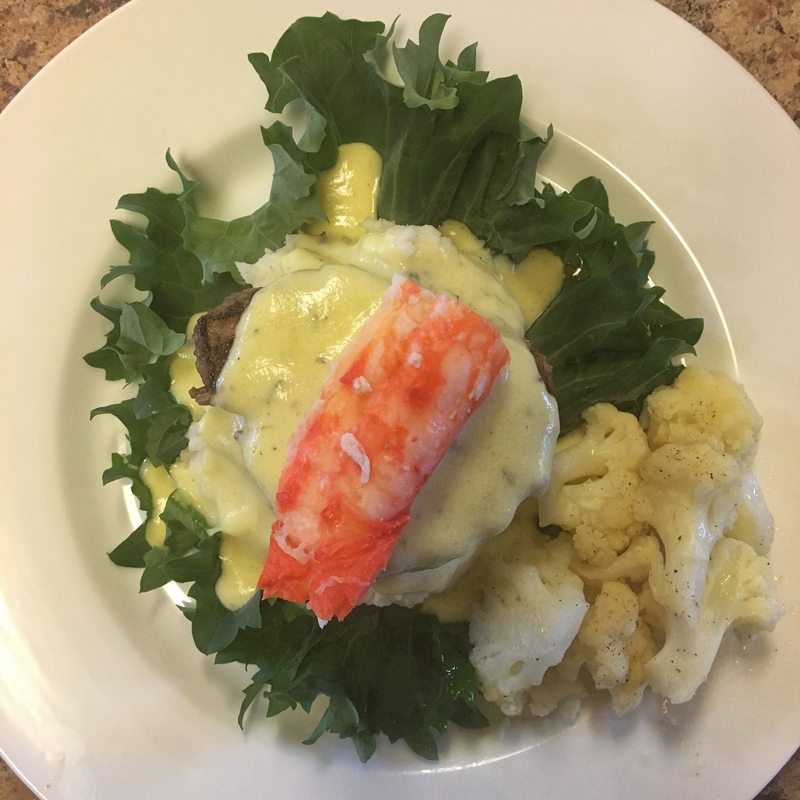 Our soups are wonderful, the prime rib simply perfection, the Alfredo sauce with seafood a real favorite. As a matter of fact everything is good. We love to cook and come up with salad dressings you will want to take home with you. All lunches are prepared in our kitchen. 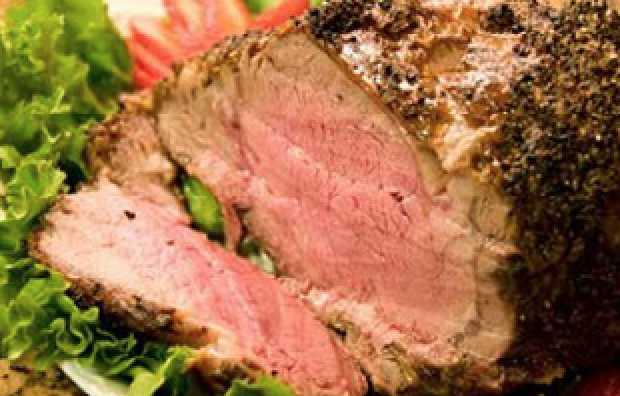 We cook the meat for sandwiches, corned beef, meatloaf, baked ham, roasted chicken, roast beef, pulled pork, and barbecue beef, or you can select vegetarian, egg salad or a meat substitute. Your lunch will include a variety of items, some of which are potato or pasta salad, fresh fruit, veggies, candy, home made bakery goods, chips, nuts, olives, hard boiled eggs or any other items the cook finds to include. Soup is almost always available to be added or substituted, just let the chef know what you would like. We pack your lunches in individual red coolers, if you have special requests your name will be on the cooler. Your lunch coolers will be waiting for you in the morning, just add a beverage from the fridge on the kitchen deck and you are ready to go. Trust me, everyone on the Kenai and Kasilof recognizes the red coolers from Crooked Creek Outfitters. Do not be surprised when someone in another boat gets close enough, they will ask what you have for lunch. Then they will grimace as they tell you what they have. Just be glad you are with us and Auntie Dorothy is looking after you. Rinse and dry your vegetables. Cut into approximately 2 1/2 inch pieces on the diagonal. Use a good heavy frying pan. Heat sesame seed oil or olive oil in the pan. The oil should be hot but not smoking. It must be hot enough to sizzle when you add the vegetables (sprinkle water drops in the pan to test the sizzle! ), shake pan to brown. Once they are done (do not overcook they should still have bright green color) add soy sauce to taste and sprinkle with sesame seeds. Be prepared for everyone to eat twice as much as normal. Note: When selecting asparagus check the tops they should be firm and tightly closed. The beans should be the French long style and not have any blight on them. Always look for any wilting, they should be firm and not limp. Asparagus can have the ends cut off and placed in a cup of water in the refrigerator until you're ready to use them. Mix ground almonds with the Parmesan cheese. Use fresh shredded cheese for better taste. Rub the Parmesan between the palms of your hands so that it is somewhat broken up. Cut Halibut into strips about 3-4 inches long and 1 ½ inches in diameter. I prefer to use strips rather than larger pieces and use 3 strips as a portion. Make sure your pieces are dry. The cream and coating will not stick if they are not dry. Salt lightly. Dip in heavy cream; make sure it is coated on all sides including the ends. Fry in a good pan that does not stick and use olive oil. Brown well and remove from pan before fish is completely done. A little translucent color in the fish in the very center is OK. It will continue cooking after you remove it from the pan. You can check it by breaking one of the pieces while still in the pan. Bring the soda to a boil, Drop in cubes, do not cook too long, just until done. Serve with melted butter and lemon juice or other sauces of your choice. I use Chinese tea cups for the butter. Mix pancake mix with garlic powder, salt to taste and beer, mix thinner than regular pancake batter. Let sit about an hour. It will thicken up as it sits. Dip halibut, cut to your favorite size. You will have to turn the pieces over in the pan. Use fairly hot oil. If the oil is not hot enough the fish will soak up too much oil, it is too hot the fish will brown too fast and not cook in the center. I fry mine on high and I drop a little batter in to make sure the oil is ready. The batter should sizzle, rise to the top rapidly and start to brown. A wire spoon is handy if you use a sauce pan with oil as opposed to a deep fryer. For the chips, use Yukon gold potatoes. Wash, dry, slice into about quarter inch in diameter strips. Cook at 375 degrees. Cook first to just turning brown, drain, I always do this first because they take longer than the fish. Cook a second time to a nice golden brown. Blend to a fine powder sea salt with a pinch of sugar and lightly dust the fries. Your French fry quality is largely dependent upon the quality of potato you use. Chop pickles and onions to the size you prefer, add mayonnaise, use a little more than you think so that it makes a sauce rather than just hold the pickles and onions together. You can add some pickle juice to help flavor. Add a small dash of Worcestershire sauce and a small amount or horseradish to taste. Often the temp can be in the low 40s in the morning, but it can also warm up by noon. You will want to wear layers of clothing to help adjust to the temperature. Our average rain fall is 26 inches, the US average is 37 inches. It can rain off and on in June, July and August. Rarely does it rain all day or everyday you will be here. Some years we are almost begging for rain. We have rain gear just in case it is raining. I want to see bears, what should I plan? Bears are around everywhere, they may be just behind some trees and you never see them. We have had bears on the deck, along Crooked Creek, they have eaten most of our chickens, they hunt rabbits here in the spring. They also hunt the moose calves in early spring, one year they got 3 out of 4 right here in the yard. However, rarely do guests actually see the bears at the lodge. We check with the fly out companies to determine where the bears are. Early season we can put you on a bush plane, land you on the beach and the guide will walk you to a meadow. We had a group count up to 80 bears then just give up counting! Later you can fly out to Wolverine Creek and watch bears come down to feed at the falls. The pictures of bears on our web site were all taken by guests on these fly outs. The moose! Where are they? They are everywhere. In the early spring they have calves and you can see them here at the lodge around the creek or browsing up close and personal. It you are on level one they may walk within a couple of feet of your windows. They have even come up on the lodge deck. Keep your eyes on alert and you will see them all along the highway. Keep in mind they are dangerous. Big and powerful, they can stomp you to death and they can move at 35 miles an hour. When you rent a car keep in mind whether or not you would be comfortable hitting a moose in it. Eagles sit in the trees here at the lodge and fish the creek. When the commercial fishing starts they move to those areas for easy pickings. They then come back to the creek to fish Steelhead and trout in the fall. They are usually around all year, it is just a matter of numbers. They usually nest in the field by my brother's house. They also congregate at their buffet, the local landfill! So, yes, there are plenty of places to see eagles.